Wash Rack wheels are stop-locked. This unique matting accessory speeds up the handling, cleaning and drying of kitchen, bar, and industrial mats. Transports your mats quickly and easily from workstation to cleaning area. 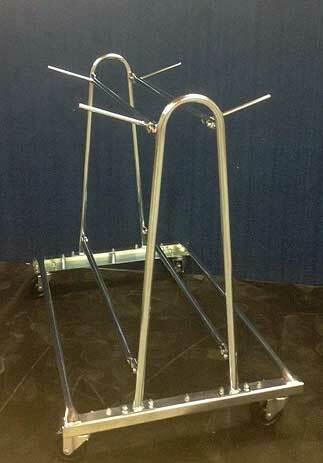 No more dragging mats by hand or throwing onto cumbersome bus carts, this handy PORTAMAT WASHRACK gets the job done! SAVE more on Large orders! Buy 20 or more save 20%. 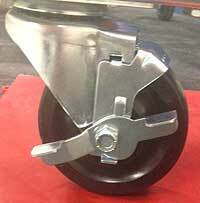 Four 5" rubber swivel casters. 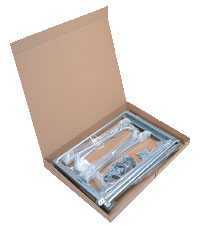 Knockdown version shipped unassembled in study carton with hardware and instructions to save you money. 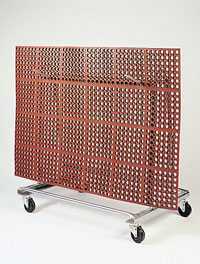 The PortaMat is engineered to provide effortless washing and transporting of perforated kitchen mats.